De Arni Hotel Bangkok, the boutique hotel located on Silom - Surawong Road, one of the most convenient and well-known area (Patpong) in Bangkok. A short walk to shopping center, night market, subway (MRT) Silom Station and sky train (BTS) Saladaeng station. The professional friendly staff always ready to welcome every valued guest with a warmest Thai hospitality that we care them feel here at home. 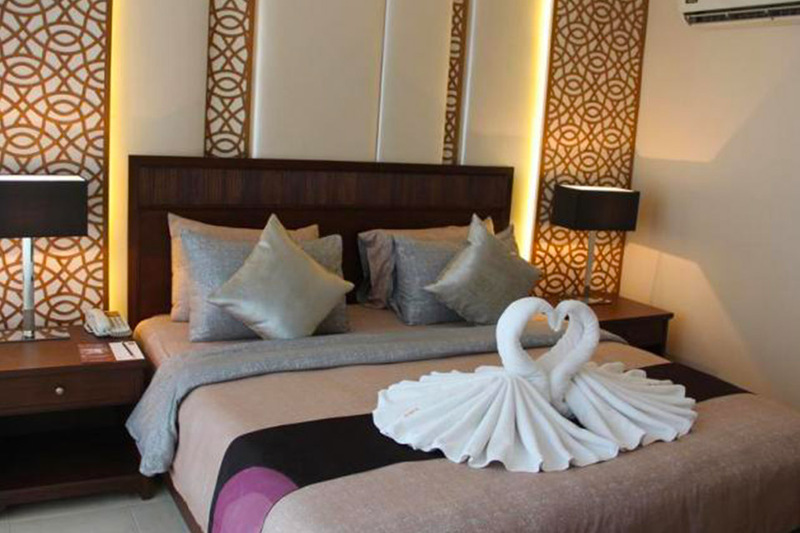 Here, rooms are not only well-designed, boasting of sleek and simple interiors with Asian accents. 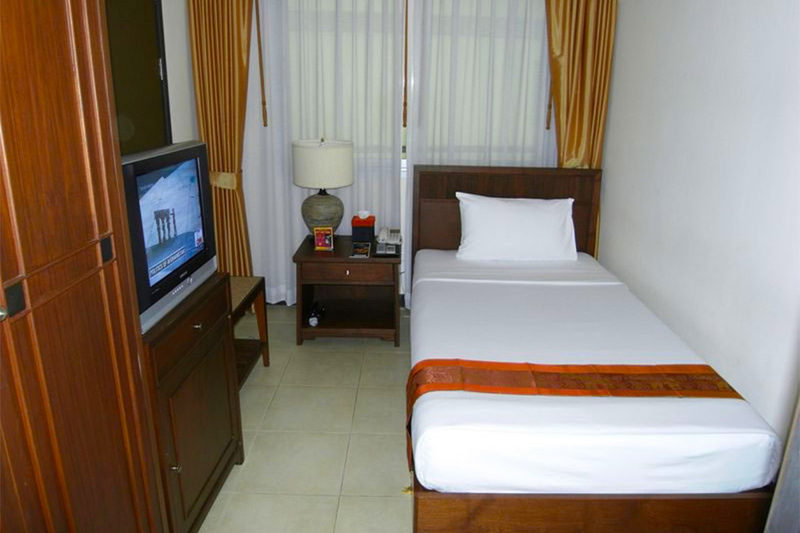 They are also well-equipped and well-kept to ensure that you get the rest you deserve after a long, busy day. These accommodations are paired with indispensable facilities and services that are specifically tailored to your requirements. 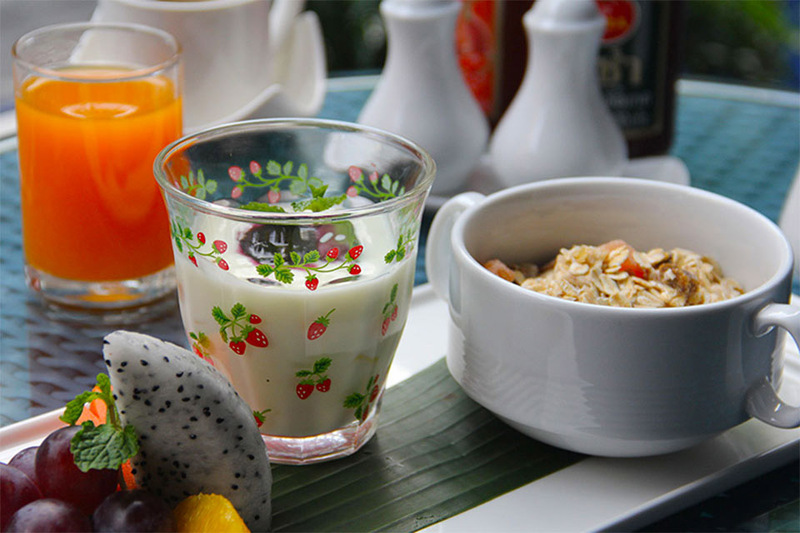 You won’t have to splurge to enjoy the finest of comforts at De Arni Hotel Bangkok. Our affordable rates cover your essential needs, from adequately furnished accommodations to reliable guest services. 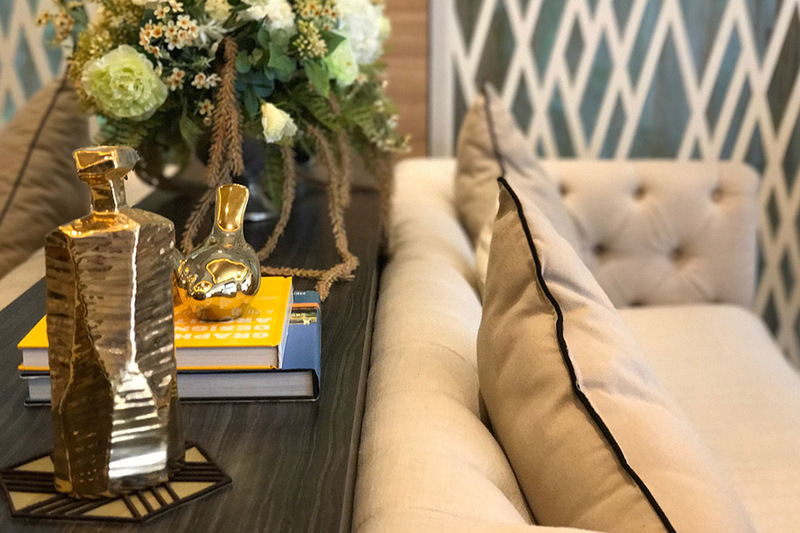 Swathed in serene tones of beige and brown, our accommodation in Bangkok makes a fitting haven for an all-out breather at a price that will surely put you at ease. Furnished with wooden pieces and decorated with a Thai painting, rooms at De Arni strike a balance between contemporary beauty and traditional charm. 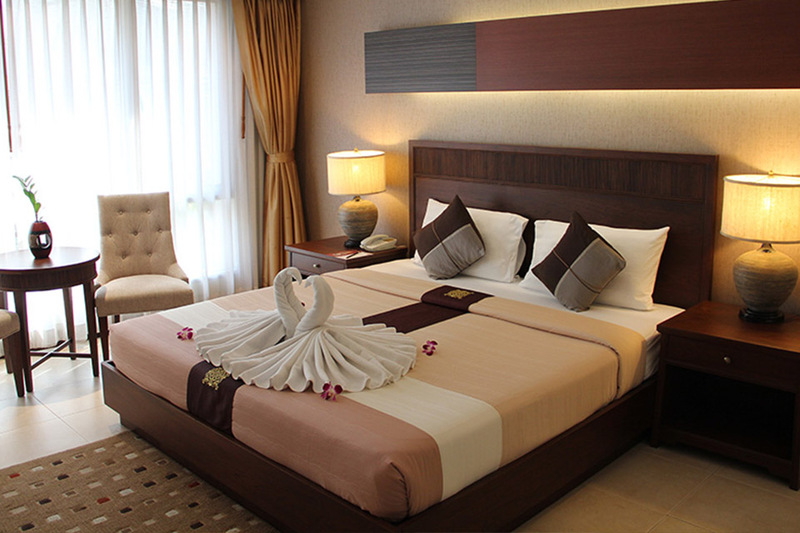 All room types are fitted with features you'd normally expect in pricier Bangkok accommodation. For example, the One Bedroom Suite features a living room and lounge area, kitchenette with microwave oven, sofa bed, and king-sized bed. 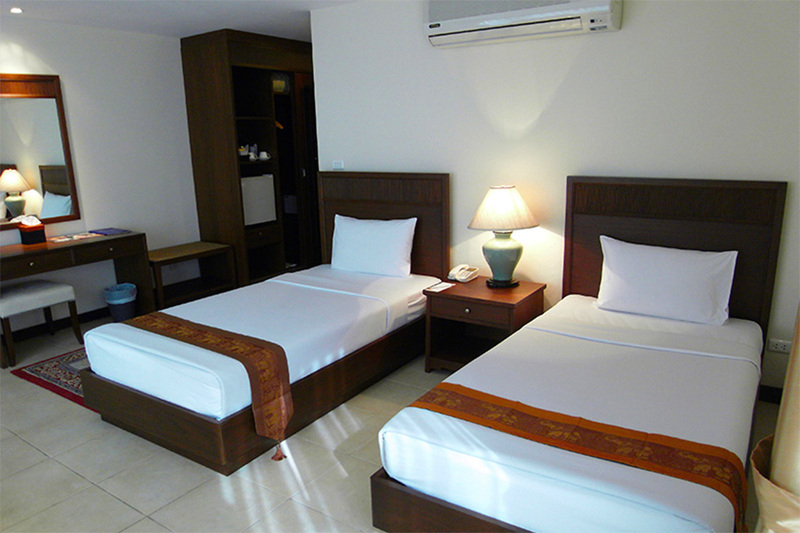 Meanwhile, Superior Rooms are fitted with 2 twin beds and comes with a balcony. 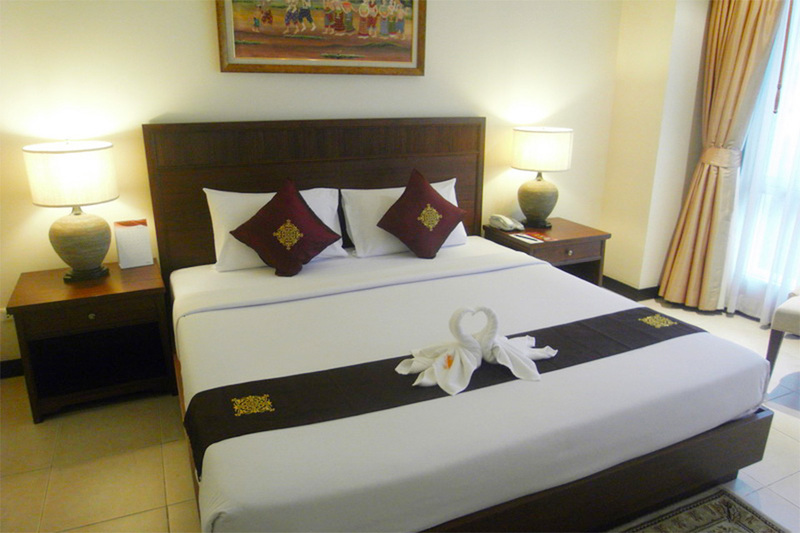 For a truly accessible base in Thailand's capital city, stay at our Bangkok City hotel. 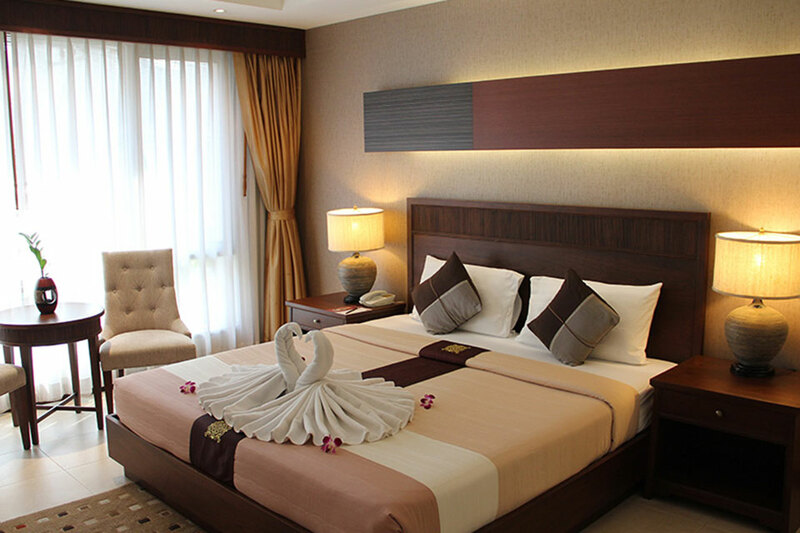 Located on Surawong Road in Silom district, De Arni Hotel Bangkok is easily accessible by various modes of public transportation such as subway (MRT) Silom Station and sky train (BTS) Saladaeng station, or bus. It is also a few blocks away from Silom Road, one of Thailand's major financial centers. Booking online at our hotel in Bangkok City is also easy—simply click the [ Check Availability and Prices ] button beside the banner at the top.